Please put up your hands if you have taken any RapidKL feeder buses? What about the spanking new and very comfortable RapidKL MRT feeder buses? I have not done any survey, but unless one is seriously planning to use the LRT, MRT or buses or a more likely scenario, a combination of two or more of these, you may not have bothered to notice what is available. Here is one little story on how I discovered a gem in RapidKL which I would like to share with my readers. My daughter has just started her college in early January 2017. As luck will have it, her college is not one of the many located in the “college belt” of Subang Jaya – Bandar Sunway any of which would have been just at most 10 km or one RapidKL bus away. Hers is located in Kota Damansara, which is over 20 km away, near where I used to work! At first, I would drive her to college from USJ every day, then I would drive home, repeating the same in the evening. Thus I would often get caught in the daily peak hours traffic jam which is the fact of life for many Klang Valley residents. On a good day, I would spend around 4 hours doing the two round trips. On a bad day (especially on a rainy day), I could add at least another hour to my commuting hours just to play chauffeur to my offspring (well this is not entirely true as I would make her drive me back in the evening to give this “P” plate, a.k.a probationary driver more practice!). Our (actually, mainly mine) daily drive would start from USJ in the morning (we had to hit the road by 08:30 to make it on time), then mainly we would use the North Klang Valley Expressway (NKVE) from Subang Jaya exit to Kota Damansara exit and would get stuck in the famous “Surian squeeze” at Persiaran Surian heading towards our destination near Sunway Giza. The journey back for me would take a bit shorter, mostly because I would be using the smaller roads that link Kota Damansara to Ara Damansara passing by Tropicana Golf and Country Resort. This would be the same route I would choose in the evening to and from Kota Damansara. As my daughter got settled into her college life, she would not be finishing classes “on time” in the evening and would be having the usual college student’s activities outside the lecture rooms. Thus we knew that with the rise in my own business activities (after my stint in Penang which ended in early Dec 2016), it would come a time that she would need to rely on public transport to commute to and from her college. So I went on to discover what were available from RapidKL. Although “USJ-ians” like us are fortunate to have the LRT now practically near our doorsteps, and the MRT phase 1 linking Kota Damansara to Semantan is now operational, it is not easy to find a direct link up between the two systems. If you do a cursory search on the internet, you will know that Klang Valley’s existing LRT, Monorail, the new MRT systems plus most of the RapidKL buses have many direct routes to different parts of KL city centre from the suburb like “the spokes of a bicycle wheel”. But there are precious little linkages at the suburb to connect any two systems. A good public transport system should be like a spider web, with spokes and lots of cross links which sadly the current Klang Valley system just does not have. We tried RapidKL’s “traditional” feeder bus service 802 which was supposed to link up Kelana Jaya LRT station with Kota Damansara. On the morning of our “trial”, we started our journey a bit earlier than usual, leaving Taipan LRT station at 07:15 and arriving at Kelana Jaya by 07:40. 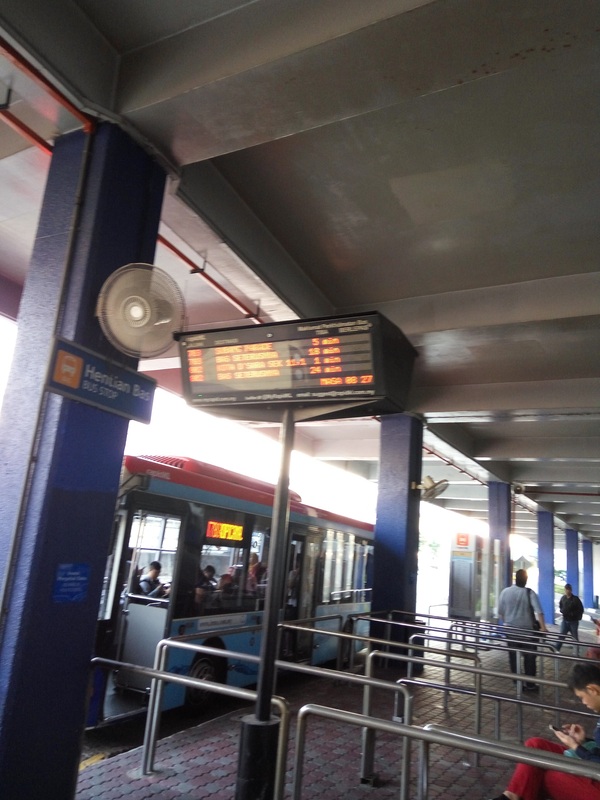 I was happy to notice that the LED signboard said that there would be a 802 bus arriving in 5 minutes and one more in 18 minutes. But little did I know that those busses were the “planned” services. What actually happened was purely depending on the number of buses (I presume, the drivers turning up for work) available and the prevailing traffic congestion on key roads. The information on the LED signboard at Kelana Jaya LRT interchange is not an accurate reflection on the buses available on the ground! When I went to the information counter, where one RapidKL staff was sitting and eating to enquire about the no-show of 802 buses, I was ignored by the man. I then tapped on the counter’s sliding window and the man went berserk and scolded me in Malay (“Are you blind? Can’t you see I am eating”). This information counter in Kelana Jaya interchange is used as a canteen by RapidKL bus drivers who would not be pleased if you disturb them enjoying their meals while on duty! To me, he was sitting at the information counter and so he was on duty to serve customers like me. I did not mind that he was eating, so long as I got my answers. There was no reason for him to be so rude. As far as I know, the information counter was not a rest area nor was it a canteen for the staff on duty. When the man saw me taking photographs of his “canteen” and the LED signboard he calmed down a bit and came out to tell me that bus 802 should be starting ‘soon” and pointed to one of the stationary buses to say, “that’s your bus, wait for the driver and let me eat my food.” 45 minutes after the first bus 802 was supposed to arrive, we finally got onto the bus that was pointed to me earlier. It took about 80 minutes for us to get from Kelana Jaya LRT station to Surian MRT station and my daughter arrived just in time for her class. I took the same bus which was on a loop service back to Kelana Jaya LRT station which took about 60 minutes. With so many uncertainties and variables, we needed to find an alternative to this travel route! Next, we tried out RapidKL Bus 780 which we could only take at Asia Jaya LRT station in Petaling Jaya (three stations further away from Kelana Jaya station). The bus took about 1 hour to get from Asia Jaya LRT station to Surian MRT station and the return journey took about the same time. We had to wait about 20 minutes each way. There was however one major problem. On the return route (from Kota Damansara to Petaling Jaya), bus 780 did not pass by Asia Jaya LRT station. I had to alight at the bus stop next to Sri Petaling school, cross the busy Jalan Semangat and walk about 800 meters to Asia Jaya LRT station. This option was a bit better than the RapidKL Bus 802 route as there were more bus 780 on the road and hence the wait was more manageable. But it was still not ideal as we would be travelling extra distances needlessly and the return trip involved a long walk. It was then that I remembered on my many car trips to and from Kota Damansara I saw the new RapidKL MRT Feeder Bus, T807 and often wondered what route did this bus serve. After several searches of both RapidKL’s site and many transport related sites, I had the mini-Eureka moment! T807 is one of the very few cross links that RapidKL’s MRT and LRT have. For those who are not familiar, RapidKL, for reasons known only to itself, has two types of feeder buses. The old RapidKL buses with the “T” prefixes and the ultra comfortable RapidKL MRT feeder buses with a different outer paintwork but bearing the same “T” prefixes. One thing is strange. RapidKL MRT feeder buses do not accept RapidKL’s own Myrapid cashless cards! T807 links up the depot of Kelana Jaya LRT line at Lembah Subang LRT station to Surian MRT station, serving both the Ara Damansara residents as well as those living around the Tropicana Golf and Country Resort. My daughter only needs to wait at most 20 minutes for T807 at both ends of this route (as show below). The T807 journey takes from 15 minutes off-peak to 25 minutes at the peak hours of the evening. On average, she will now take around 1 hour to travel from Taipan LRT station to Surian MRT station followed by a 15-minutes walk to the college. I am happy. I need not pay too much attention to the traffic news on Melody FM each morning now! And I do not have to clock in 80 plus kilometers on my car each day! My daughter is happy. She does not feel guilty for having me wait in the car for her to finish her day (sometimes the wait could be up to 40 minutes) at the college and thus giving her more time and flexibility to socialise with her college mates. As T807 takes on mostly “inner” roads, apart from the stretch close to Lembah Subang LRT station where the “tunnels” which allow cars to get across the NKVE are located (which jams up at peak hours), can promise commuters with a pretty accurate timing of its services. One must pose this question to the power that be who runs RapidKL… If you have a great cross link feeder bus route like T807 that links up a LRT station with a closeby MRT station, why keep so quiet about it? I would have expected RapidKL to publicize this route to the maximum! My second grouse with RapidKL… how come you can design a great linkage route in T807 and not able to do the same for other feeder bus routes to link up more LRT stations with closeby MRT stations? T807 serves a great link for people on the Kelana Jaya Line LRT to take the MRT at Surian Station. My third grouse with RapidKL… why launch the MRT feeder bus service with a cashless system that does not accept your own Myrapid cards but “traditional” TouchnGo cards only? My daughter’s feedback on T807 service, “The bus drivers of T807 are very nice to the riders!” should be something that RapidKL should take pride in and gloat about! I just hope that RapidKL does not take away this gem of a feeder bus service or change its route unnecessarily in the future! My final grouse (actually 2 grouses) with RapidKL…Do check that you have accurate information posted on your LED signboards and remove non-existing bus services so that your customers are not misled. 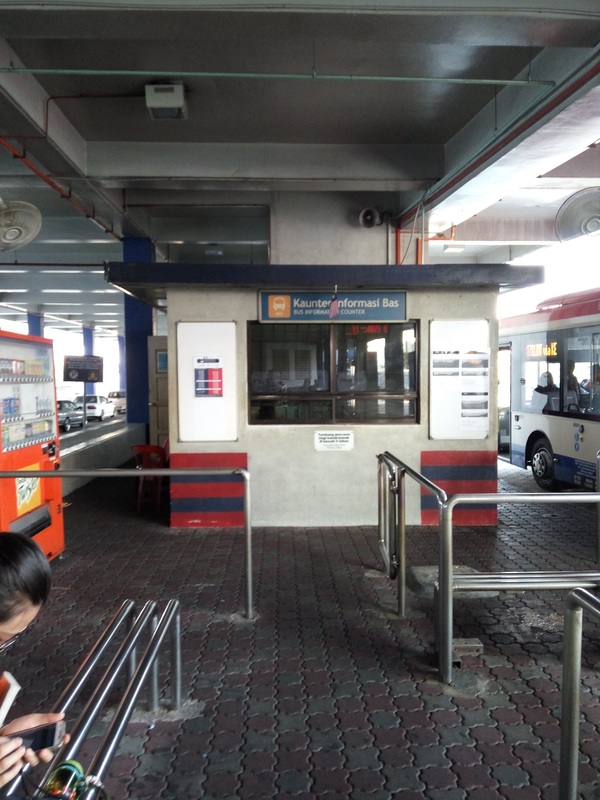 Please make sure that your staff on duty at the information counter at the Kelana Jaya interchange do provide friendly and accurate information services to bus users and remind them that this location is not their canteen. They should take a leave from the guys manning the T807 service and learn to be courteous to their customers!